← Craig Owens’s Discourse of Others – in comics? Contrary to popular belief, Japan isn’t actually overpopulated. The Japanese population is just very unevenly distributed: outside of the crowded metropolitan areas, there are vast wildernesses. This fact is what makes the story of Limit credible. On its way to a summer camp, a bus with schoolchildren crashes in a forest. Only a handful of them survives the crash, and now they have to endure until help arrives. Which takes days. In this Lord of the Flies scenario, the greatest challenge for the schoolchildren is not to survive in the wilderness, but to get along with each other. One of the girls in particular who was always bullied in school before now sees the opportunity to take revenge. Through occasional flashbacks to their lives before the bus accident, all of the survivors are well characterised, making for a suspenseful read. Scariest moment in vol. 3: when they find the dead body of one the girls. Somehow I hadn’t seen this coming. 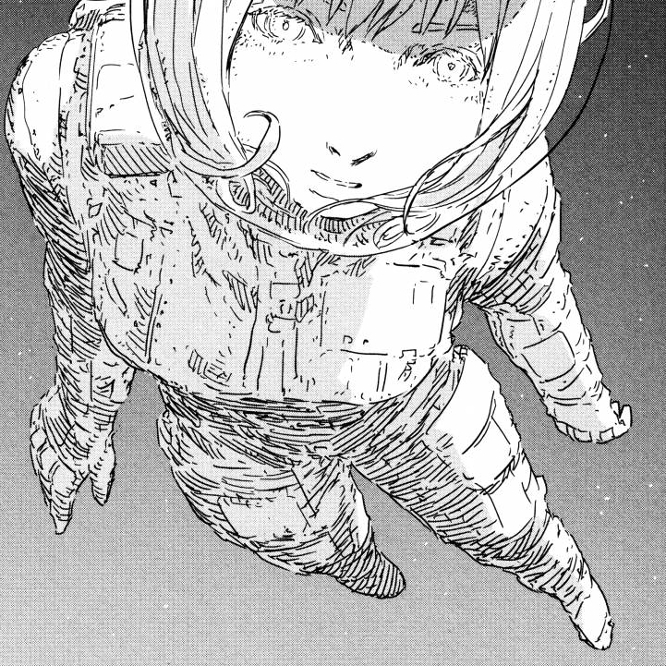 Knights of Sidonia, which I’ve mentioned before here, is a weird mix of genres: mecha sci-fi action, harem slapstick comedy… and also space horror and body horror. It takes some time to get used to this, particularly if you’re familiar with Tsutomu Nihei’s earlier, more homogeneous manga, but now, as the series approaches its end, it’s beginning to make sense. The story revolves around humans in mechas and spaceships fighting against an alien race called gauna. At first, both sides look very different: humans with their angular high-tech machinery on the one hand, the biomorphic gauna on the other. But the lines become blurred when humans build mecha/gauna hybrids and the shapeshifting gauna start imitating mecha pilots. This one is a bit older, but it has only relatively recently been published in English (2006) and German (2009). Kirihito is a medical thriller about a mysterious disease that turns people into dog-like creatures. A young doctor, the eponymous Kirihito, is sent to a remote village where this disease has broken out in order to investigate and find a cure – or so he thinks. He soon learns the hard way that the disease is infectious indeed. The pacing is off, the story has its issues (e.g. the problematic portrayal of women) and drags on for too long (even though this is only the first of three volumes) – but the art is vastly superior to that of most living mangaka. Although you could argue that his cartoonish style would be more suitable for a humorous story, the sheer amount of Tezuka’s daring design ideas is astonishing. 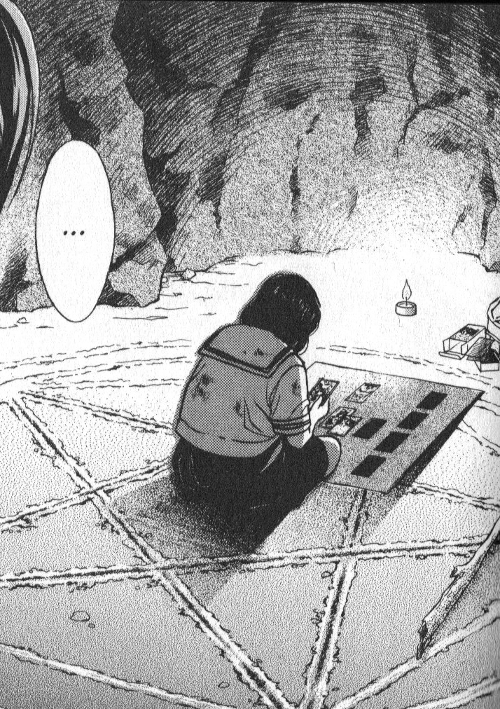 Scariest moment in vol. 1: towards the end of the volume when Izumi, Kirihito’s fiancée, finds out that her own parents are not quite free from blame for Kirihito’s disappearance.